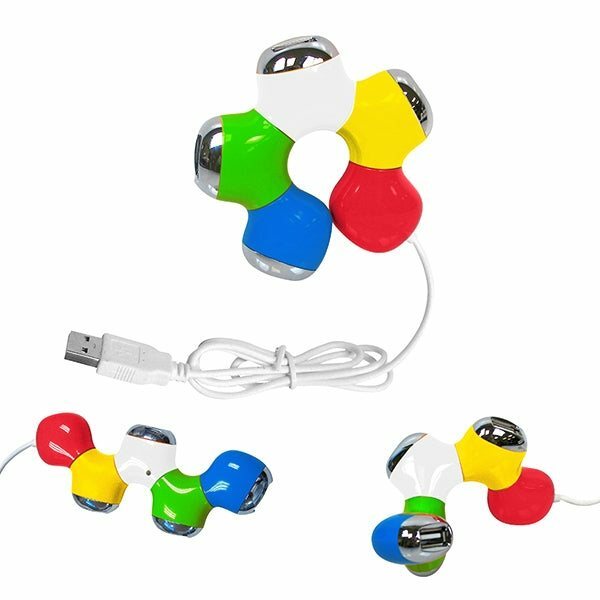 Colorful 4 port USB 2.0 hub. Twist hub for desk time fun. Price includes 1 color/5 locations. this is a re-order. We like the quality of the print. There is not much to "not like". Our employees appear very pleased with the merchandise. Clients and potential clients specifically ask us for these. thanks to everyone. You all made it easy and extremely pleasant. Everyone I gave one to wants more. Great work! !